Today we’re going to talk about my favorite thing in the morning, afternoon, and early evening: coffee. 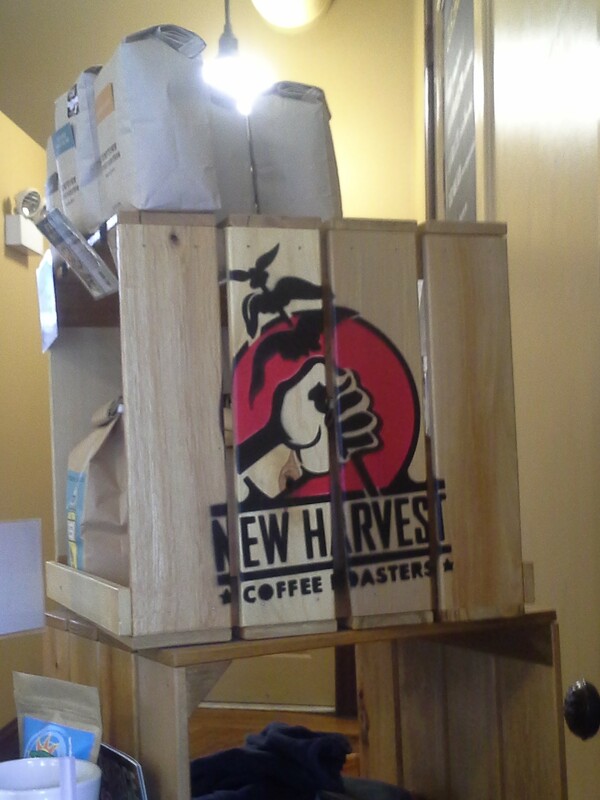 Even though I feel complicated about the use of raised fists for logos, I accept all things about coffee. It’s GREAT there are other hyper people drinking coffee thinking up logo ideas, like these. 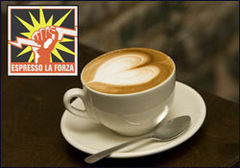 Counter Culture Coffee [counterculturecoffee.com] from NYC uses a raised fist holding a lightening bolt for their expresso la forza blend. I can only guess it’s because the roast is supposed to make you feel as powerful as Zeus with a touch of resistance while you do your nine freelance jobs? Coffee helps the unresting nature of neoliberal austerity a LOT I’ll tell you that. 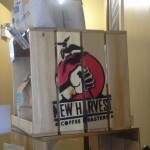 Rhode Islanders New Harvest Coffee Roasters [ www.newharvestcoffee.com ‎] go bold by using a fist clenching a coffee tree branch [?] in their logo. This image is from the lovely Seven Stars café in Providence, RI. I don’t know if I drank their coffee that day, but I will say that everything in that café is delicious! 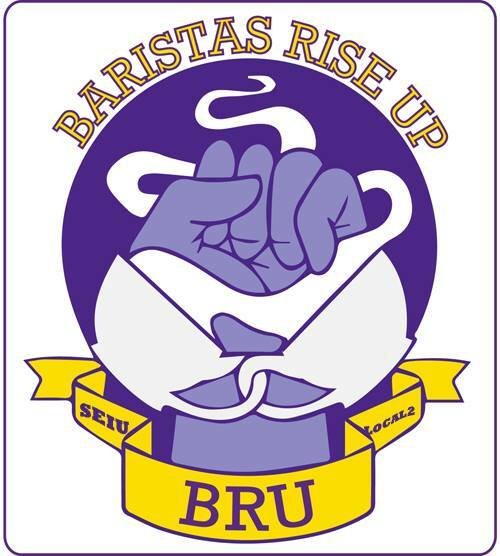 Lastly, to keep it radical, is an image from Baristas Rise Up [http://www.BaristasRiseUp.ca], a labor movement group who aims to unionize coffee shop workers, based in Halifax, Nova Scotia, Canada. Starbucks unionize? Not likely. Indie baristas in Canada? Possible, as the story by Melissa Keith reports in Brewing Dissent that “the workers are unionizing.” This is the shot from the cover of Our Times, a Canadian “independent labor magazine” which I saw at the The Civic Media Center & Library, in Gainesville, FL. The logo was designed in 2013 by Sean Doran and Ellen Graham, and the screen printing for the shirts was done by Shay Enxuga. When I was an underpaid barista did I drink coffee as a nightcap? Yes I did. As an adult who can barely understand how that worked out, am I so excited that baristas are rising up? Why I’m just percolating with happiness!